This year-round program is intended to meet the needs of working parents and is available Monday - Friday from 6:30am - 6:00pm. 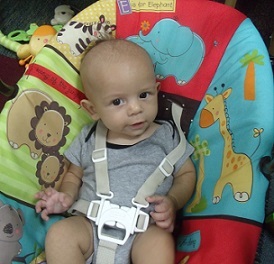 Babies in our infant room are cared for in a very loving and nurturing environment. Our staff focuses on each child's individual needs and development. 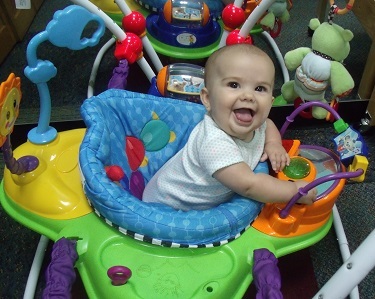 Babies enjoy time being cuddled, swinging in swings, playing in activity centers, and tummy time on the floor. In addition to playing in the room, the babies are often taken for walks to explore the outside world around them. As they grow, the staff assists each child as they strive to meet milestones and work to prepare them for our toddler room.